Hi there, I'm Caroline. I look forward to helping you achieve your accent goals! A charming French river city near the mountains is where I first experienced culture shock. Not to mention my first experience with a host family who spoke utterly no English. The family consisted of a widow and her college-aged son. My host brother loved to speak French a mile a minute and then subsequently laugh at me when I couldn’t understand! My perseverance to be understood in a non-native language was challenged daily while doing activities we take for granted when using our mother tongue. I recall one internship at a French radio station. They interviewed me on the air in French...talk about anxiety! I worried about whether I pronounced my words correctly, or if the locals were belly laughing at my French grammar! I get it. Not often do we get that warm fuzzy feeling when trying to navigate a second language, especially in a foreign country. Stringing together the vocab in the right grammatical order is quite enough, not to mention correctly pronouncing the sounds that help assimilate us into a society. I know this experience personally and I’m committed to helping my clients achieve their goals so that listeners will focus on what they speak instead of how they speak. During my stay in France, I overheard a French lady comment to a friend about how well I spoke the language. I recall how amazing that made me feel and it instantly boosted my confidence. I would like all of my clients to feel the same way. However, when Americans have difficulty understanding non-native speakers, they often lack the knowledge to pinpoint and provide the feedback to correct pronunciation. In return, you will receive confused looks or will be asked to repeat. Most times Americans don't want to embarrass the non-native speaker, or point out their flaws, in an effort to be polite. That is where I come in. You can trust me to be honest with you about your speaking skills. I want you to feel comfortable asking me questions about English that you may be hesitant to ask others. 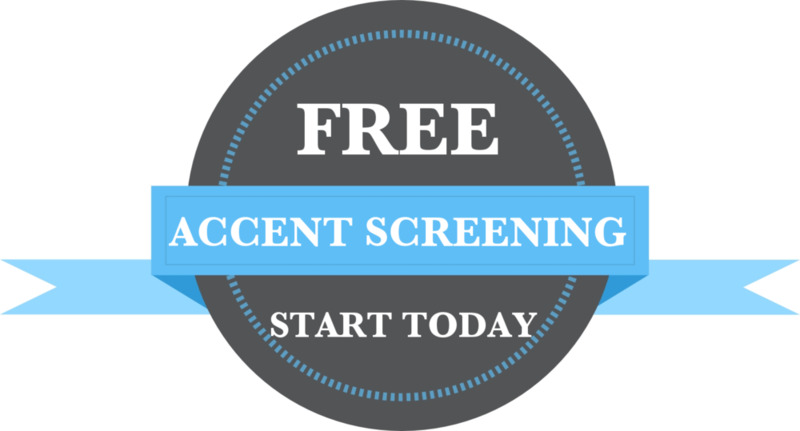 Based in Chicago, Illinois and available worldwide via Skype, I specialize in teaching the American accent. My midwestern upbringing and speech-language pathology credentials lend well to clients seeking a neutral American accent. In my spare time I enjoy photography, exercising my French (can’t forget my accent), and exploring the beautiful city of Chicago. If you think I would be a good fit to help you improve your communication skills, drop me a line or give me a call, I’d love to hear from you!